More people opted to purchase used cars. They are easy on the budget but shoppers need to be wise and smart with their choices. Buyers must avoid used cars that are for sale but with hidden damage. Fine you can have them in lower prices but the damage they have unknown to the buyer can bring a lot of trouble and serious costly trouble. 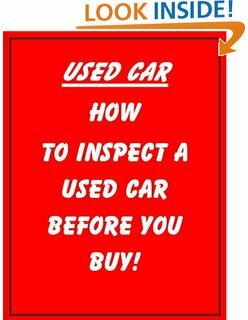 In order to keep off from buying the lemon, here are the step by step guides for buying used cars. Doing a bit of research about reviews, vehicle history report and price of the car model that you are planning to purchase can do a lot of help with your used car buying. Conducting a research will definitely enable a buyer to discover possible defects and common problems that can come out after the purchase. It is also a smart act to make research regarding the price of the used car. This will ensure you that you will be paying a fair price for the car that you wanted. Inspection on the car needs to be done both on the inside and outside part of the vehicle because the two aspects condition will play a significant role in terms of assessing the value of the car. Check if the car’s exterior has been repaired professionally, no bulk paints or even a rough finish on the car. Don’t forget to open the hood to see the condition of the engine and its parts. Rust and dirt on the engine may indicate something is wrong with the engine that may pop while you’re traveling down the road. This part will be best with a professional mechanic, the inspection conducted by a professional will surely be worth the price. They are the perfect person who can help you to determine hidden problems and the real value of the used car. This is always the ultimate test of all in order to make the perfect deal. Make sure to drive the car on local roads and highways, on busy streets where traffic can be on and off, sharp curve and on uphill. This will help you see if the car’s ability to accelerate is still at the best condition. Take note if the engine runs smoothly and be smart enough to discover unusual noise from the engine while driving and as well as make sure that all features and all the electronics in the car are running well. To avoid regret after buying the used vehicle avoid being an impulsive buyer. Don’t hesitate to walk away if you feel like there is something wrong with the car or even with the negotiation process. Always remember that you are the buyer and you can always choose to buy or not the used car for sale.